–A PEEK INSIDE ‘CLINTON, INC.’: A 12-page memo attached to an email released on Wikileaks Wednesday from a longtime aide to President Bill Clinton seems to provide a step-by-step road-map to how advisers raised millions of dollars for the Clinton Foundation, former President Clinton, and the Clinton family after he left the White House, ABC’s MARYALICE PARKS notes. The purported memo from Doug Band details how he and his team locked in lucrative speaking deals for Bill Clinton and how he leveraged his work at his global consulting firm, Teneo Strategies, to persuade clients to also contribute to the Clinton Foundation. Band describes his work lining up for-profit business and in-kind services for Clinton as essentially running “Bill Clinton, Inc.” “We also have solicited and obtained, as appropriate, in-kind services for the President and his family – for personal travel, hospitality, vacation and the like,” Band purportedly wrote in the document. –BACKSTORY: Previously released emails, dated just days prior to this memo, seem to show Band expressing concern over the conflated, tangled and confused web of personnel roles and money in the Clinton world, citing, for example, his opinion that Chelsea Clinton was running a business out of the family foundation office. He seems to urge more clearly defined roles and conflict of interest documents. –ANALYSIS –ABC’s RICK KLEIN: John Podesta’s hacked emails have provided enough raw material to fill a bookshelf with campaign retrospectives. We now have a picture of fierce internal debates over how to handle Hillary Clinton’s paid-speech transcripts, emerging primary challenges from the left, and of course how to handle the matter of her email server. (“There Is Just No Good Answer,” Philippe Reines wrote to Podesta and several other top aides, with dramatic spacing for effect.) But the peek behind the curtain is perhaps nowhere more revealing than in the warfare revealed between Chelsea Clinton and top Bill Clinton aide Doug Band over the Clinton Foundation and the web of personal and business connections that grew around it. A memo out this week via Wikileaks has Band describing what he labeled “Bill Clinton Inc.,” describing his work to secure “in-kind services for the President and his family – for personal travel, hospitality, vacation and the like,” in addition to highly paid speeches to private enterprises. 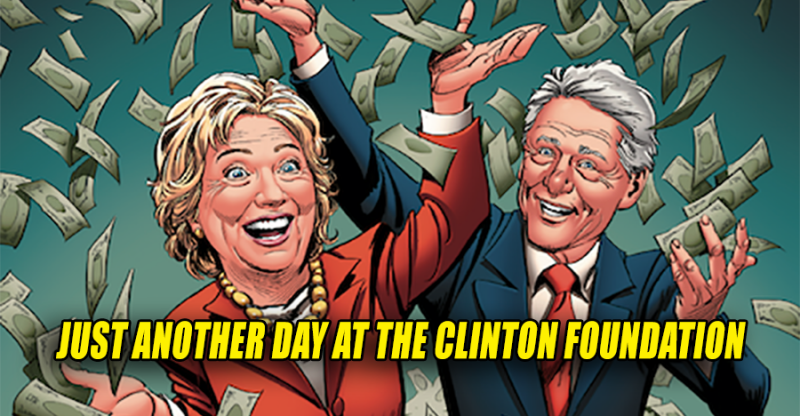 This is the kind of operation the Clintons’ critics have long warned about – with revolving doors, intersecting public and private interests, and opportunities for lined pockets all around. Donald Trump this week was criticized for taking a break from his campaign to attend to and hype business matters. Inside Clinton Inc., that doesn’t look so out of the ordinary. It was probably not illegal to solicit gifts in exchange for access to Bill Clinton when he was a private citizen, but it was a different matter when he was married to the Secretary of State and receiving payments from parties which Hillary Clinton was making decisions regarding. Many also made unprecedented payments for speeches to Bill Clinton. It was also rather shady to be soliciting gifts when his wife was planning to run for president. Posted in Bill Clinton, Hillary Clinton, Scandals. Tags: Bill Clinton, Hillary Clinton, Scandals, Wikileaks. RSS feed for comments on this post.. TrackBack URL.